Manhattan District Attorney Cyrus R. Vance, Jr., today announced the guilty plea of DAVID ELIAS, 34, for fatally stabbing his mother, slashing his brother, and setting a fire inside the victims’ apartment. The defendant pleaded guilty in New York State Supreme Court to Murder, Arson, and Assault, all in the Second Degree. ELIAS is expected to be sentenced on May 8, 2015. 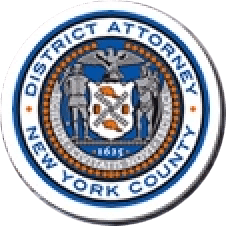 As admitted in the defendant’s guilty plea, at approximately 4:00 p.m. on November 10, 2012, ELIAS began arguing with his 30-year-old brother inside the family’s East Harlem apartment on Park Avenue near East 132nd Street. The argument escalated and the defendant grabbed a kitchen knife and used it to slash his brother’s face and hands. When the defendant’s 55-year-old mother intervened, ELIAS attacked her, fatally stabbing her twice in the chest. His brother ran to a bedroom to escape the defendant. ELIAS then set fire to a couch, trapping his injured brother inside the bedroom of the burning apartment. As members of the FDNY responded to the blaze, ELIAS fled the scene, but was apprehended later that same day by police officers who observed him near the subway station at East 125th Street and Lexington Avenue. Assistant District Attorney David Drucker, Senior Trial Counsel, and Assistant District Attorney Shawn McMahon handled the prosecution of the case under the supervision of Assistant District Attorney Warren Murray, Chief of Trial Bureau 50, and Executive Assistant District Attorney John Irwin, Chief of the Trial Division. District Attorney Vance thanked members of the NYPD’s 25th Precinct and Manhattan North Homicide Squad, particularly Detective Michael Langella.